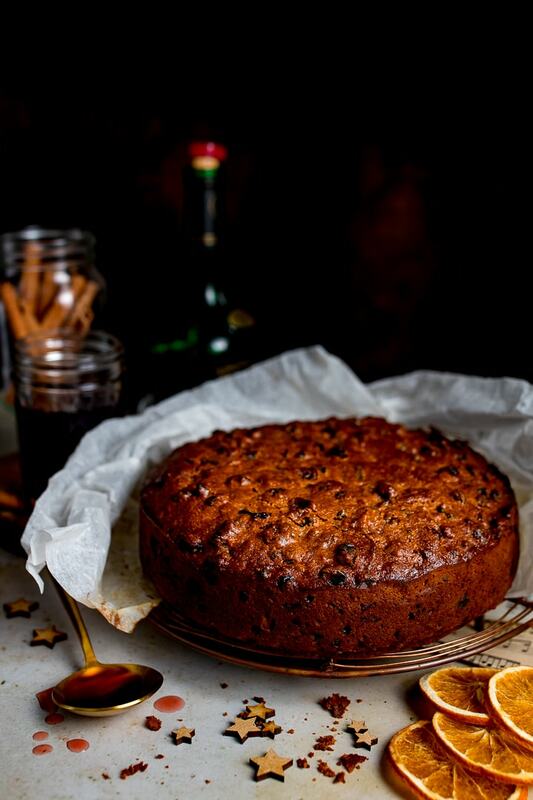 Home > Cakes, Desserts & Treats > November is the time to make your Christmas Cake! 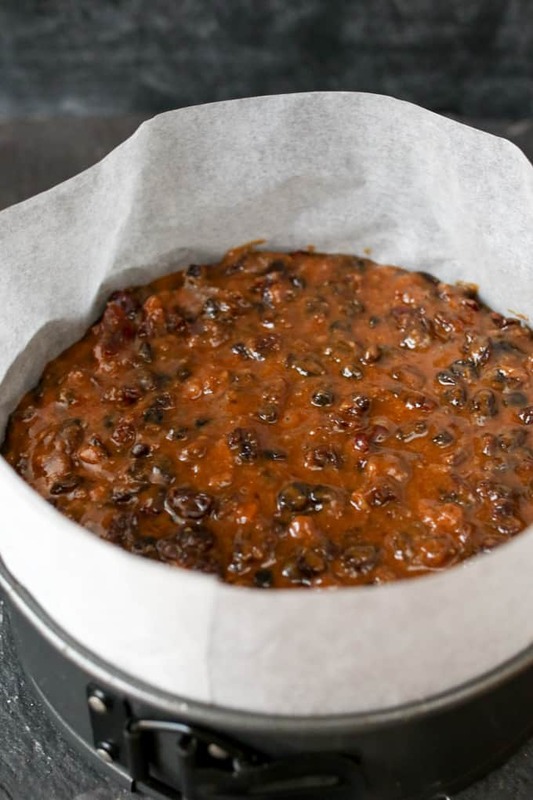 November is the time to make your Christmas Cake! 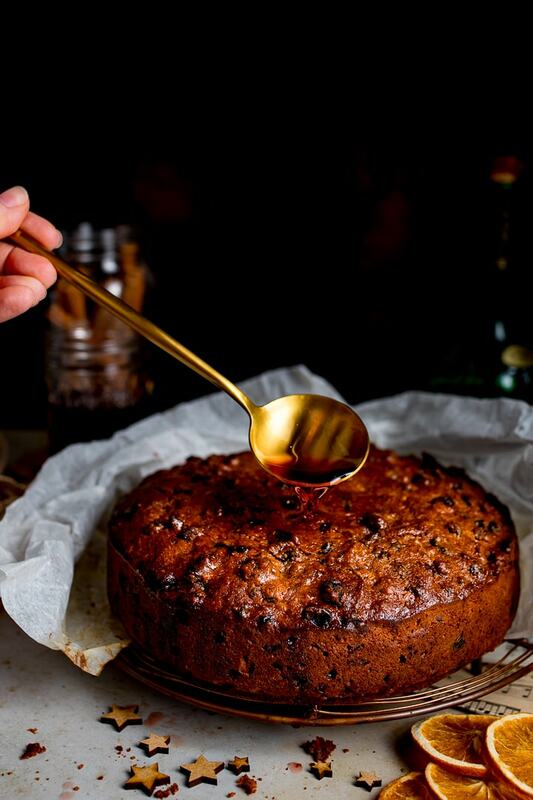 An easy Christmas cake that turns out perfect every time. No creaming, beating or soaking of fruit required! Arrghhh! How did it get past mid-November already?? Lewis mentioned earlier this week that there are only 5 more weekends until Christmas. What??? I still haven’t put my flip-flops away from Summer yet. 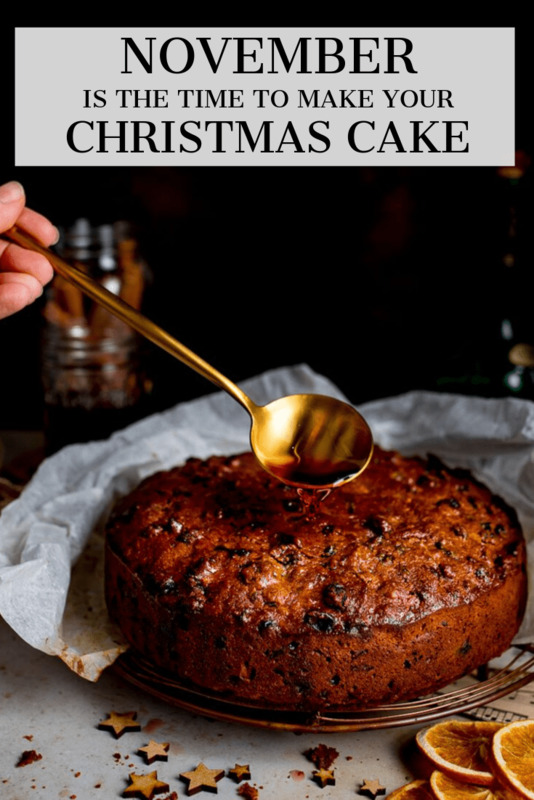 After being faced with the reality that I’m going to have to start thinking about Christmas trees, house decorations, food and presents pretty rapidly, I decided to get going with my first festive tradition – the Christmas cake. I usually plan to make my Christmas cake at the beginning of November, but so far I’ve never managed to actually do it before mid-November. The earlier you can actually make it, the more opportunities you have to douse that thing in cherry brandy!! My recipe for Christmas cake originates from the BBC Good Food website. I tried this method of making it about 5 years ago and I’ve stuck to it ever since. I only make a few small changes, and the result is a lovely, fruity, moist cake. 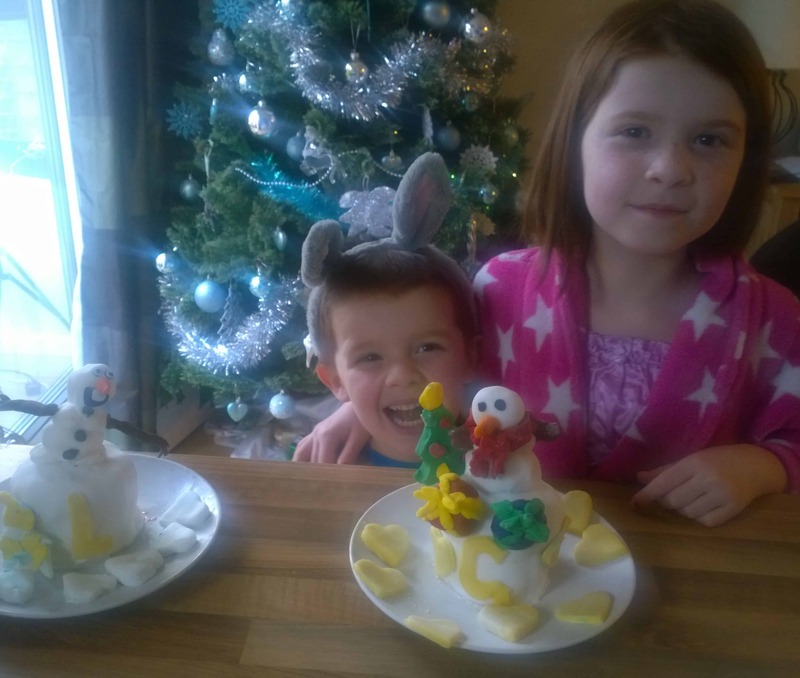 In fact I usually end up making one main cake, another smaller version for my mum and dad, and then two even smaller versions for the kids to decorate (check out last years creations here – could there be any more icing on those things! oh, and of course it’s perfectly normal for my son to want to wear bunny ears for Christmas…). I’ve even been known to make an additional one for Chris to eat right away – fruit cake fiend that he is. 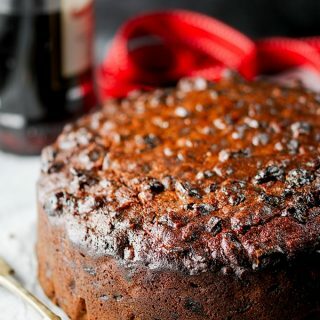 Beware, this cake does contain a reasonable amount of cherry brandy – both in the cakes mix and through feeding the cake more brandy afterwards. 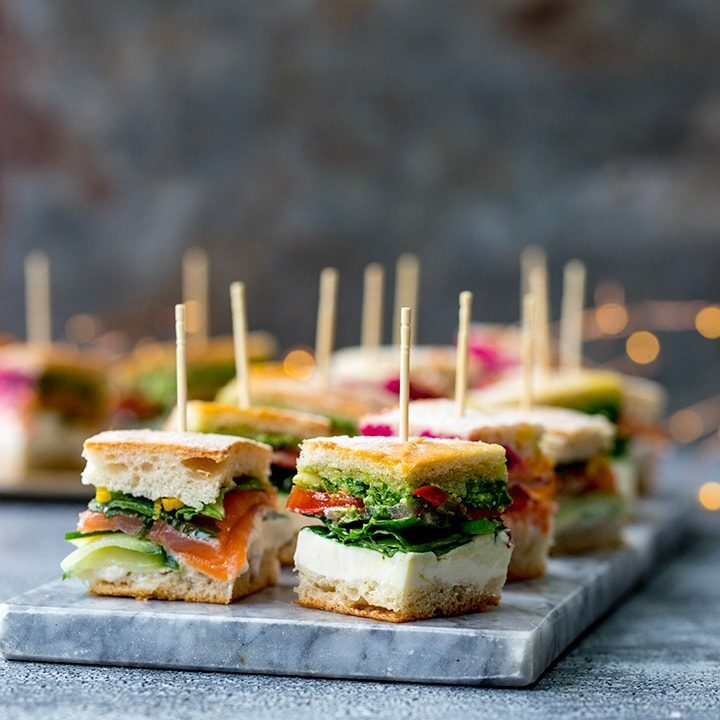 Personally, I don’t think you can taste the actual alcohol – it just gives the cake a more fruity flavour and moist texture. If you want a non-alcoholic version, i’d suggest replacing it with cold tea instead (just make tea in the usual way, steeping the tea-bag in the water for a few minutes, then take the tea-bag out and leave to cool). That’s it – one cake that you’ll want to eat every time you open it up to feed it. Resist that temptation! 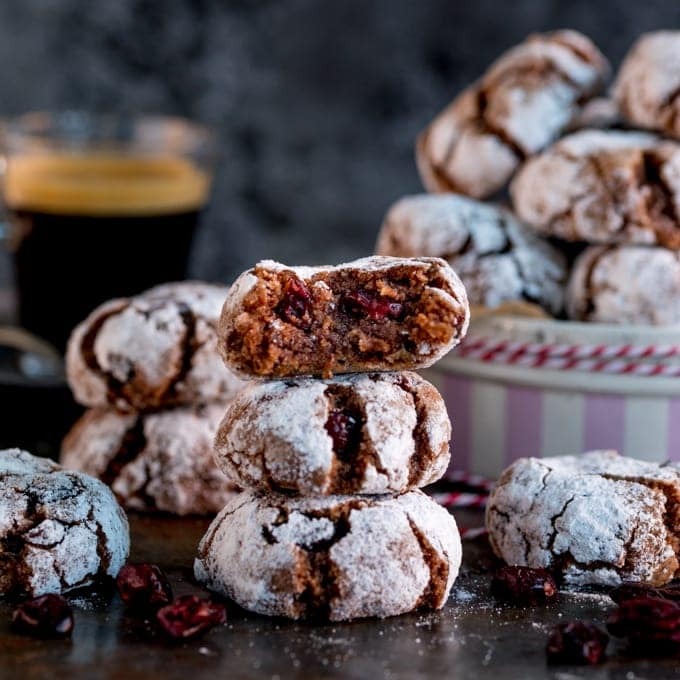 Take a large saucepan pan and add the butter, sugar, dried mixed fruit, glacé cherries, cranberries, orange & lemon zest and juice and all but 4 tbsp of the cherry brandy. Heat on a medium heat until the mixture comes to a gently bubble, then turn down the heat and simmer for 10 minutes, stirring occasionally. Remove the pan from the heat and leave to cool for 30 minutes. Preheat the oven to 150C/300F and line a 20cm spring-form round cake tin with baking parchment (I find it's easier to line the sides first so they're about 2" above the cake tin, then cut out a circle for the base and push it in). Add the ground almonds into the slightly cooled fruit mixture and mix, then stir in the eggs. Add the flour, baking powder and spices and fold together until everything is just combined. Spoon the mixture into the tin and smooth flat with the back of a spoon. Bake for 45 minutes, then turn down the heat to 140C/275F and cook for a further 1-1+1/2 hours, until the cake is dark brown on top and an inserted skewer comes out clean. Cover the top of the cake with foil if it starts to darken too much. Take out of the oven, and whilst it's still hot, use a skewer to make about 10-12 holes all over the cake. Pour the 4tbsp cherry brandy all over the top of the cake. Leave the cake to cool in the tin. then remove it and wrap in a double layer of baking parchment and then in foil. Place in an air tight container at room temperature. Feed with 2-3 tbsp cherry brandy once a week* up until a few days before you marzipan and ice the cake. Ideally you want to give the cake at least 3 feedings (over 3 weeks) altogether. if you're organised enough to make this cake 4 or 5 weeks in advance, then it will taste even more moist and delicious. The cake will keep in a cupboard for up to three months or you can freeze it for six months. So as I was a bit unsure if it would really turn out good I halved the recipe , added a bit more than the recipe called as in extra ingredients like cinnamon cloves (ground) cocoa powder, nut meg mace powders coffee and instead of almonds course ground I used flaked almonds. Well I AM SOLD it turned out great though a little bit of extra of butter would have been OK too. 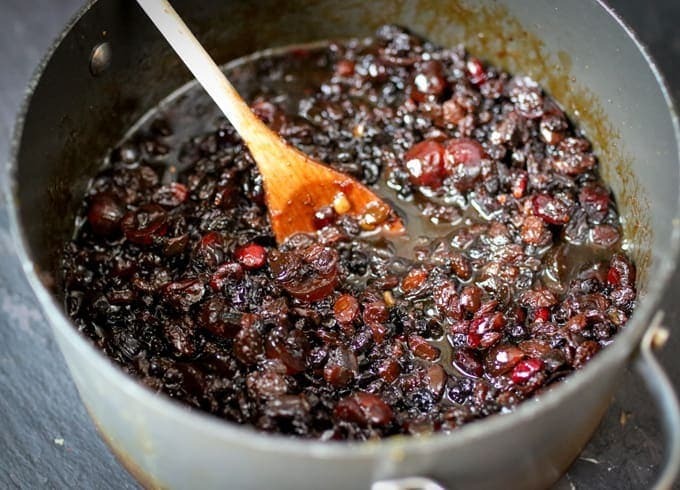 I have been baking traditional dark fruit cakes for decades soaking fruit for a month almost and ovens on throughout November . This time as I have less strength in my arms when I checked your method I just thought let’s make a change not all will b lost just a few bucks and labour!but am glad to say I am hooked.Thanks for helping people change the way this cake can be made in a short time. I have soaked fruit for this time the Carribean black dark fruit cake , it’s like my mom’s recipe burning sugar to get the dark color etc. Thank you and hoping to read more innovated recipes bettering the originals making it easier. 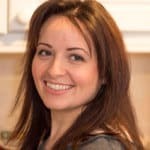 Are the oven temperatures for conventional or fan oven? I’ve taken them to be conventional oven, so have reduced the temperature on my fan oven accordingly. The cake has been cooking, as per instructions for 45 mins at 130°C (fan) and 1 hour 30 mins at 120°C (fan). Not cooked and has been in for a further hour at 120°C and still not cooked and not gone dark brown on top. Help! Smells lovely though! Hi Catherine, the instructions are for a conventional oven. If the top is starting to darken too much, you can cover with foil and continue to cook – checking it every 10 minutes or so with a skewer. Thank you so much for taking the time to reply (and so quickly too!). Oven temperature is accurate as haven’t had issue before with other recipes that I converted to fan temperature. Think it’s getting there now. It’s brown but not dark dark. Hope that’s the way it’s supposed to be! 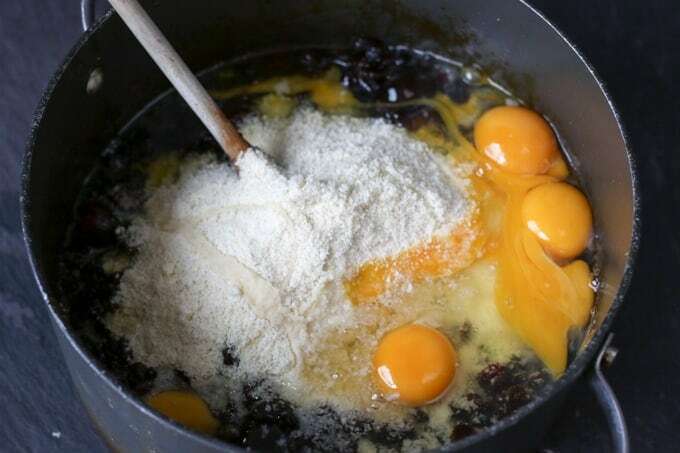 There are 3 large eggs lightly whisked in this cake added at step 4 of the recipe. Easy to make . Very nice . Scrumptious to the last bit . Nice, I like it. Easy as well as a delicious cake to have in your special days. Is it really just 20g glacé cherries? Oops – thanks for spotting the typo – it’s supposed to be 200g. I’ve updated now. Does the fruit not sink using this metjod. I once tried boiled fruit cake and all the fruit sank. Any tips on this. 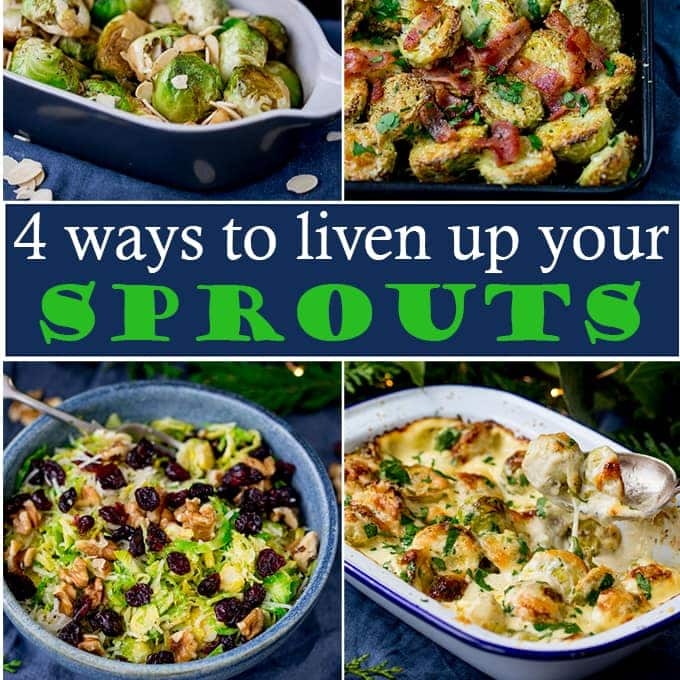 Loving this recipe! Christmas cakes have such a bad reputation in the States and I don’t know why. They are essential to our holiday! The American fruit cake does not taste anything like the English fruit cake. I hated the American version too when I first moved out here from Singapore. So I either buy them from an English store or make them on my own using the English recipes. Nice find on the recipe… it’s one of my favorite sites as well. Looks great. Can’t wait to try it. Thanks for sharing! This sounds like a new tradition for our holiday! You mention icing with marzipan…any recipe/instruction for that? Thanks! 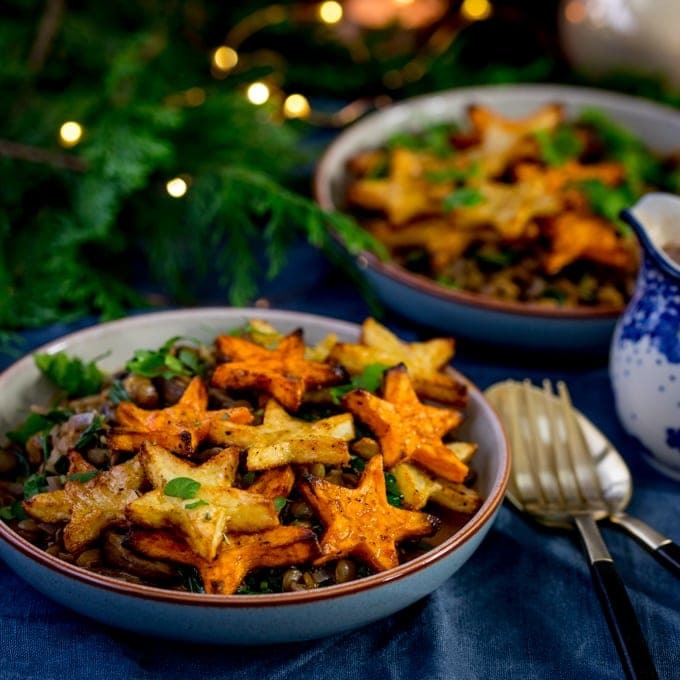 This looks so festive and stunning!